You will love this fully furnished, beautifully decorated & completely turnkey 3 bedroom, 2 bath attached villa for sale in the active community of Royal Woods, just off Island Park Rd. As you enter through your private screened courtyard, you will instantly notice the gorgeous new flooring through and the recently remodeled kitchen that features a stately granite & cabinets clear to the ceiling. Each bedroom offers hurricane impact sliders and private access to the screened lanais. Both bathrooms have also been recently remodeled and boast skilled tile work in addition to brand new vanities. 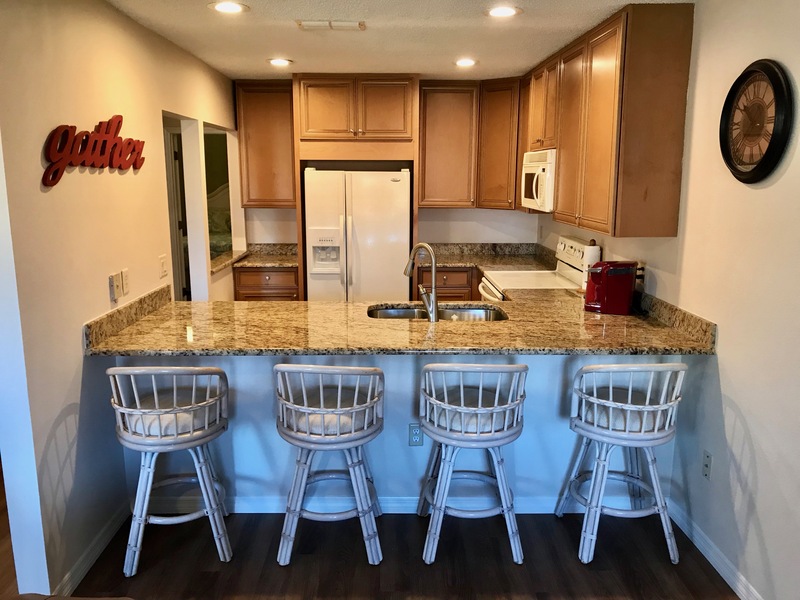 Royal woods offers great amenities including; two pools (one is a quick walk from the unit), tennis courts & shuffle board, assigned parking, clubhouse w/ library and kitchen. Centrally located & just a quick drive to RSW, FGCU, Coconut Point Mall, Miromar Outlets Mall, I-75 , Publix Super Market , restaurants and much more. HOA takes care of the lawn and exterior maintenance, exterior pest control, trash removal, and recreation facilities.